"think" commands and messages at their smartphones. Not satisfied with the fact that their users willingly share their most intimate information on a daily basis, Facebook is looking to reshape the world and decipher thoughts that haven't even been verbalized. 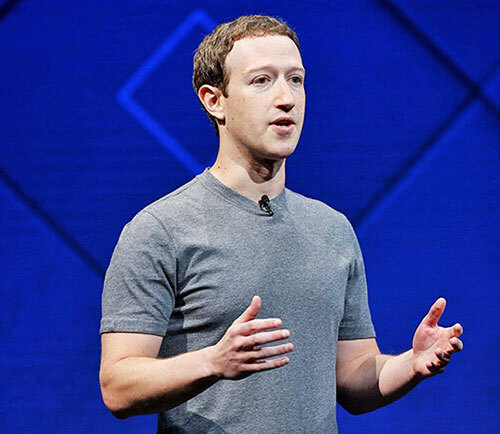 In February, Mark Zuckerberg released the "Facebook Manifesto" which, under a thin veil of altruistic vocabulary, hid a dystopian vision of a "connected world" where the flow of information was overseen and propagated using artificial intelligence and elaborated algorithms. 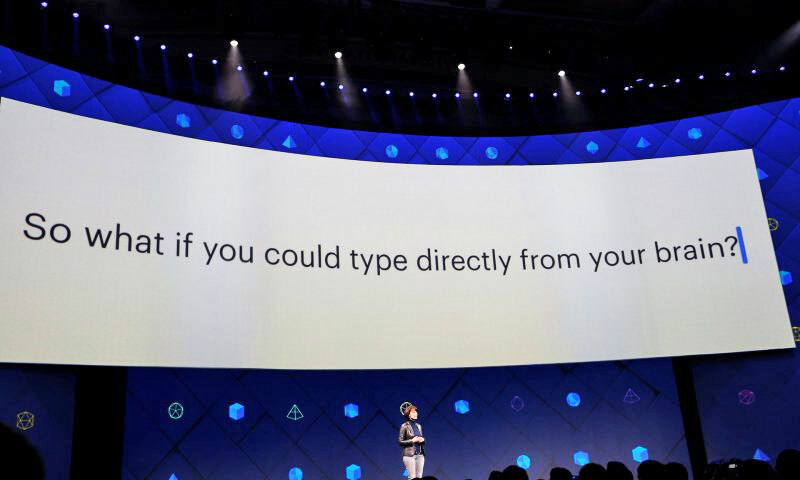 speaks at F8 - the company's annual developer conference. Facebook has assembled a team of 60 people, including machine learning and neural prosthetics experts, brain-computer interface engineers and neural imaging engineers, to create a "mind reading" smartphone. It's system would be capable of typing one hundred words per minute - straight from one's thoughts. "No such technology exists today; we'll need to develop one." Facebook is looking at using optical imaging - using lasers to capture changes in the properties of neurons as they fire - to glean words straight from our brain before we say them. If the thought that a company that makes almost all of its money from harvesting your personal data could also have access to your thoughts is scary, that's because it is. Regina Dugan attempted to assuage people's fears by pointing out that Facebook would only decode the words you were going to say anyway. "It's not about decoding random thoughts," she said. "We're talking about decoding the words you've already decided to share by sending them to the speech center of your brain." So Facebook is telling people to not be concerned about their thoughts being constantly read by a machine because it would only be able to decode words one was "about to say". However, the goal of that technology is to read thoughts - without them being said - and to translate them into computer commands. How can we guarantee that this kind of technology won't be used to actually monitor and control people's thoughts? Are there even people willing to give up the sanctuary of their own thoughts for the slight convenience of not moving one's finger on a touchscreen? Another reason why Facebook wants to read our brain activity is to develop the equivalent of a "brain mouse" for augmented reality. She painted a picture of a future where everyone wears augmented reality glasses that supplement our field of vision with additional information such as directions, and enhanced capabilities such as real-time translation of people's voice or the ability to "mute" specific people and noises from your sound-scape. What's lacking in this augmented future is a user interface. When we don't have a smartphone or a computer mouse, how can we select and click on a piece of digital content? That's where the brain-computer interface comes in. Although the technology is presented as a way of "staying connected with the people around us" reducing the need to look at one's screen - the true goal of this technology is painfully obvious.